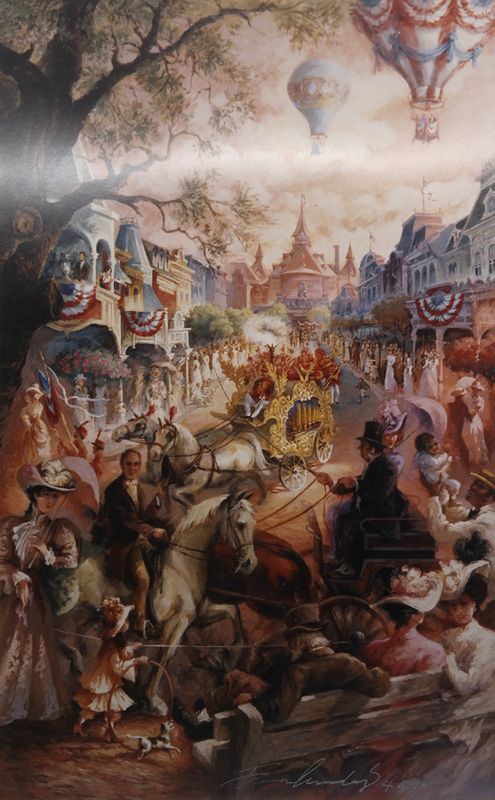 This is a limited lithographic photo print featuring a fictionalized historical image of Mainstreet in Disneyland Paris. The image comes from artwork created by Imagineer Frank Armitage, with the original hanging above the fireplace at the Disneyland Hotel Paris. 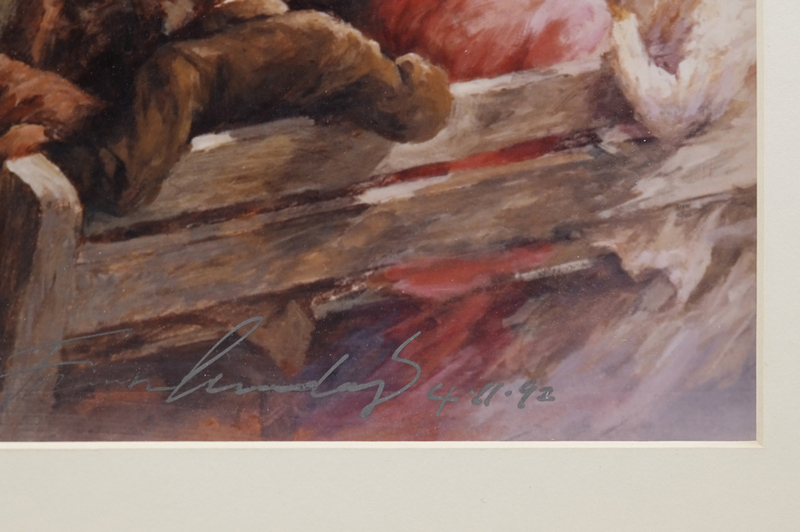 A fun fact is that Frank Armitage painted a cameo of himself in this painting as the man sitting on the park bench with a top hat and white hair. 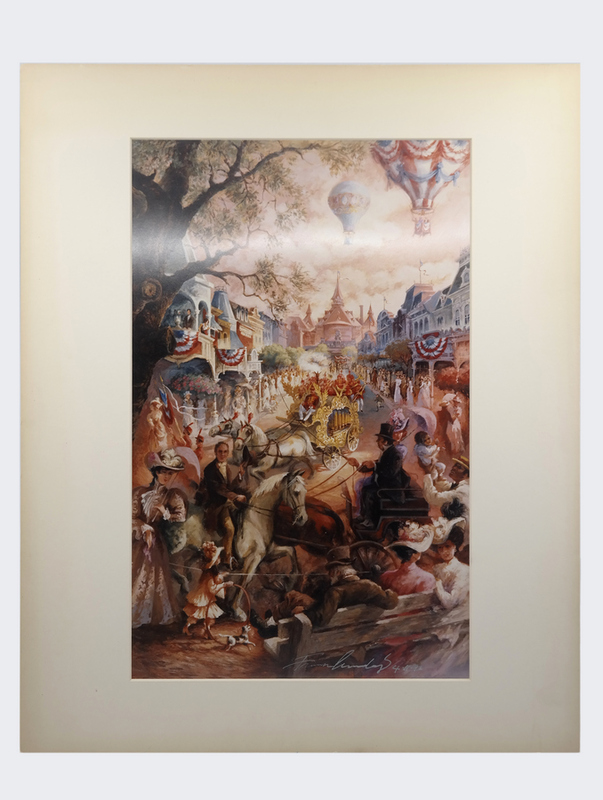 This print was released in 1992 by the Disney Gallery, which opened above Pirates of the Caribbean in Disneyland in 1987, to display the art, designs, and models created by artists at WED Enterprises. The print is signed by Frank Armitage in the lower right. The piece measures 20" x 16", with the mat opening measuring 15.75" x 9.75", and the image itself measuring 15.75" x 9.75". The print is in excellent condition.